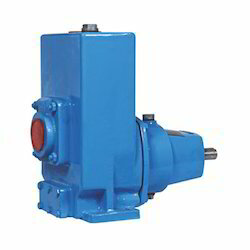 Providing you the best range of centrifugal self priming pump, chemical process pump, progressive cavity screw pumps and mechanical seal fit mud pump with effective & timely delivery. 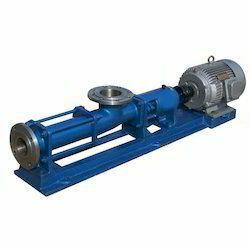 The chemical process pump "GCP" is widely used for chemical, Petrochemical industries. Media which can be easily pumped are Acids, Caustic, Ammonia, Phosphate, Dyes, Oils, Solvents, Alcohol, Aromatics etc. Also suitable for Textile, Food, Paper & Pulp. Pharmaceuticals etc. 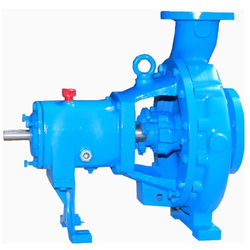 The chemical process pump "GCP" is widely used for chemical, petrochemical industries, media which can be easily pumped are acids, caustic, ammonia, phosphate, dyes, oils, solvents, alcohol, aromatics etc. Also suitable for textile, food, paper & pulp, pharmaceuticals etc. Excellent quick automatic priming action up to 8 mtrs,Without foot valve up to 8 mtrs. Automatic air release during priming. Back pull out design, so easy maintenance without disturbing pipe lines. Dynamically balanced rotating parts ensure less vibrations. Better efficiency because of good hydraulic design. Available in Bare, Coupled, Monobloc, Belt driven & Engine driven version. Less expensive & easily available spares. Public utilities : For pumping muddy water, sewage, polluted liquids, solid and in swimming pool. Onboard shift, as bildge, for desk wash & engine cooling. Tiles & Marble factories, effluent plants. Industry : Transfer of clean 01 dirty neutral, acid or alkali liquids containing sand, mud or solids in suspension; clean or dirty low viscosity petroleum products or solvents; milk of lime, caustic soda; washing, cooling, circulation; smoke scrubbing; emergency duty. Civil engineering : Flood drainage; sewage pumping; fire fighting; recovery of dangerous liquids. Waste treatment: Pumping polluted, hot or corrosive waste water containing sand, mud or solids in suspension; dosing neutralising liquids; pumping out settled sludge. Construction industry : Dewatering excavation, canals or ponds; ground water dewatering with wellpoint systems or drains; water supply from wells or canals; hosing down concrete castings. Agriculture : Surface irrigation; liquid manure oxygenation; transfer and spraying liquid manure or fertilisers, distribution of liquid animal feed; transfer of must; washing. 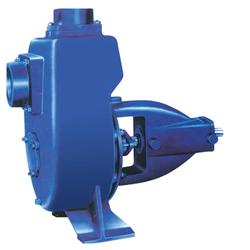 Looking for Mud Pump ?